A series of leaks could offer more information about Borderlands 3. The game was all but announced in a trailer earlier today, which lines up with information concerning the game which was posted to 4Chan (via resetera) yesterday. The most interesting aspects of this leak relate to the new Vault Hunters. As with previous games, there’ll be four available at launch, and we got a look at them in the aforementioned trailer, but the leak offers more information. The android, reportedly called Flak, is a beastmaster who’s able to call AI animals to his aid. The older male character focuses on stealth, relying on gadgets rather than in-built powers. The female character who appears in the car is Borderlands 3’s Siren, and is reportedly melee-focused, with close-range takes on abilities we’ve seen Sirens use before. The fourth and final Vault Hunter appearing in the trailer is a Gunner, who can apparently summon a bear mech that other players can ride on, in a manner reportedly similar to the arrival of Titans in Titanfall. As well as four new characters, Borderlands 3 will apparently also introduce changes to abilities and weapons. Guns will now have changeable parts, allowing you to alter their class, fire rate, and even elements as you find new components. In terms of abilities, characters will now have multiple skills that they can make use of throughout a fight. As for the story, the baddies this time around are The Calypso Twins, the male and female character seen at the beginning of the trailer. The sister is a Siren, but despite the fact that men can’t be Sirens, her brother somehow wields Siren-like powers. The Twins will rule a cult called The Children of the Vault, which is likely why there are so many people praying to them in the trailer. The story will begin on Pandora, but you’ll eventually leave the planet, moving between multiple nearby worlds. 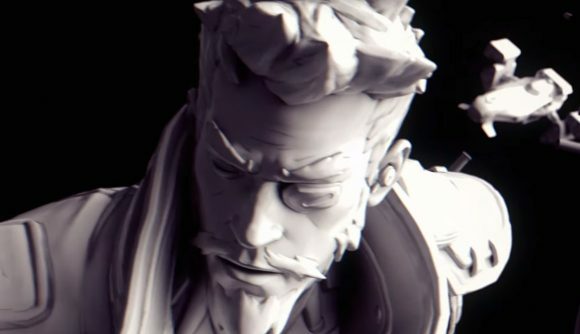 There’ll be plenty of recognisable faces, as characters from the original Borderlands will make another return. Borderlands 3 apparently takes place five years on from Borderlands 2, and Brick, Mordecai, and Lilith are all likely to return, alongside characters like Sir Hammerlock, Claptrap, and a now grown-up version of Tiny Tina. Obviously this is all a leak, and from a source we can’t confirm, so take it with a pinch of salt. That said, much of the information here appears to match what we’ve now seen in Gearbox’s official trailer, so I’m prepared to believe a little more about what we’ve not seen. We’ll likely learn more during Gearbox’s PAX East panel tomorrow, so make sure to tune into that for more information.